This has been an exciting time for the Blackheath Industrial Area with the realisation of essential infrastructure and capital Projects that have been fought for, planned and saved up for over many years. 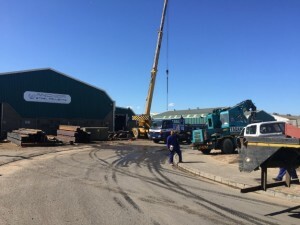 The Non-motorised Transport project was rolled out through most of the Blackheath Industrial Area by the City of Cape Town and this stage has now been completed. This has not only seen to the safety of pedestrians being addressed, but also the installation of formal kerbs and other essential infrastructure throughout many parts of Blackheath. Kerbs, formalised and paved intersections, storm water, pedestrian walkways, tree planting and greening projects, bus stops, channels, road surfaces and public lighting installations have taken place and our long awaited CCTV project has been rolled out. Further major Capital projects are planned for the remainder of 2015 with the promise of a further major resurfacing project for Range Road. In addition to this, we have performed many major area clean-ups on behalf of the City of Cape Town. Litter and illegal dumping are a huge challenge to us here in Blackheath. 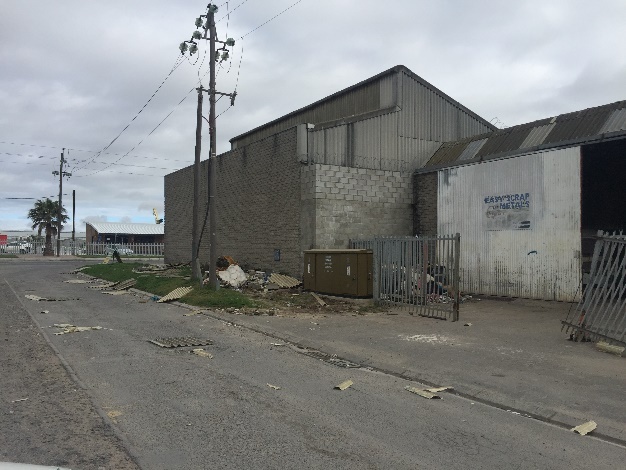 We also have major challenges with some of the businesses operating within the local area and their attitude towards the upkeep and cleanliness of and the infrastructure within Blackheath Industria. Responsible Business owners within the Blackheath Industrial Area support and drive the Blackheath CID and contribute to its success. Unfortunately, there are a handful of users within the Blackheath area that have no regard for that which the BCID initiative sets out to achieve. These businesses and or their patrons usually operate outside of their factory premises and create damage to infrastructure, spoil the character and cleanliness of the area and negatively impact on their neighbours. These actions are mostly illegal and include breaking up of scrap and dumping on the Council verge, illegal parking and loading in and on the road infrastructure and related pedestrian infrastructure and the general spoiling of the character of the area that we all work so hard to promote. We appeal to Business and Landlords to take responsibility for your operation and the area around your premises and assist us to do the challenging work that we do with the limited resources that we have here at the Blackheath CID? Our infrastructure comes at a great cost and is essential to the value of your investment and the easy roll out of your daily business activities that generate profit. The CCTV Network includes both License Plate Recognition and Overview CCTV technology and is employed to ensure that we are covered in the event of criminal activity taking place within the Blackheath Industrial Area. Those who know me would know that I have not always been in favour of the rollout and expense relating to the rollout of CCTV infrastructure, until such time that the technology improved and became more reliable and that its effectiveness could harness and ensure the securing of the Blackheath Industrial area. I believe that the time is right for this now that the LPR network is alive and well supported between Public and Private Partnerships in the City of Cape Town and that the capital investment is affordable and good value for money within a sustainable project. I also would like to request that every business that borders onto the public space and that have either CCTV technology in place or who may be in a position to add to our ever improving network, contact me and form a partnership with the Blackheath CID to roll out even more CCTV technology to assist in the monitoring and securing of our Industrial area. Footage collected is only for use by the authorised authorities in responding to incidents crime. A full confidentiality agreement is in place with our suppliers and the system is registered with the City of Cape Town where it forms part of the local LPR network. Every year around this time the BCID staff and Directors conduct a Survey of the Members of the Blackheath Industrial node and the effectiveness of the program and that of the Local Government, whilst updating our records and more specifically the Blackheath Business Directory. The attached survey (click here to download) requests your kind response to some standard questions as well as the potential to have a presentation made to us by the Department of Trade and Industry that will detail the available investment incentives offered by the DTI. We have also reached the end of our financial year now and will be moving towards the hosting of our Annual General Meeting, that will be held on the 07th of October 2015 at 13:00 at the HomeChoice Building in School Road, that is in place to report back on our financial position and the renewal of the term of operation of the Blackheath CID for a further 5-Year period. We hope that the Members of the Company will be in support of this extension and will attend the feedback session. A formal Notice will be delivered in due course. For all issues relating to the business of the Blackheath City Improvement District in the Blackheath Industrial Area, please do not hesitate to contact me or the Chairperson Mr. Andre Smuts immediately. This year marks the 5th Anniversary of the Blackheath Rail Crossing Tragedy and in honour of this an event was held to memorialise this disastrous tragedy by officially opening the memorial wall that has been constructed at the … in memory of the lives of the ten learners who died when a taxi darted through the lowered booms in an attempt to beat an oncoming train.